Our Best Answer - How do I register for classes? 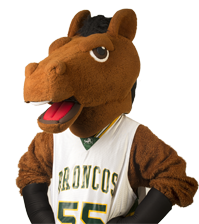 Current Cal Poly Pomona students register for courses through BroncoDirect. You can search for courses using the BroncoDirect Class Search. Registration periods vary each term. Please refer to the Student Success Central Registration Guide for the current term's registration schedule. Related deadlines are also published on the Student Success Central Academic Calendar. If you want to add a class after the end of the initial registration period, you can add a class during the Add/Drop Period. The Add/Drop Periods are included on the Student Success Central Registration Guide. If you are having issues registering, go to our Enrollment Errors webpage for guidelines that might resolve your registration problems. Learn how to register for classes by watching the how-to video below. Can I be waived from a prerequisite?